A key challenge for the NHS would be addressing how the healthcare needs of the population change over time and in different places. As a result, it has become more localised and independent, with considerable local autonomy and regular collaborations with industry, particularly in research. One of its most important relationships is with universities, which supply a large part of its most precious asset: staff. Since 1948, medical degrees in the UK have been designed to produce graduates who are ready for the NHS. This means that everything a medical school does must have the health service and its patients in mind. As well as providing future doctors, nurses and pharmacists, along with many other health professions, universities work with the NHS to develop new skills and ideas. This is often the role of clinical academics, who work both at an NHS Trust and its affiliated university. Their research produces new treatments and methodologies, constantly improving the care that that can be offered. 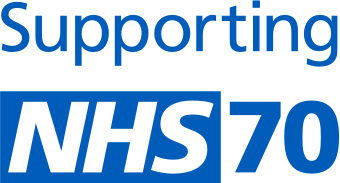 This page will take you through some examples of how universities have contributed to the health service in its first 70 years, through changes in education and through some of the biggest innovations in medical research and practice. Before the NHS, health education was seen as something which took place before beginning work as a practitioner. The scale of the NHS meant that integrating education into the professional setting became easier, allowing for a continuum of learning throughout one’s career. A key step towards this was the introduction in the 1950 Medical Act of a period of ‘provisional registration’ for newly qualified doctors. On completing medical school, doctors would now undertake a supervised resident appointment where they could learn the rigours of the job under formal guidance. Following previous studies in Germany, Richard Doll of Oxford University and Austin Bradford of the London School of Hygiene & Tropical Medicine conducted the first cohort studies into the link between smoking to lung cancer. They followed two initially healthy groups over time and found that smokers of 35 or more cigarettes per day were 40 times more likely to die from lung cancer. This was the most substantial evidence found of the link, and it changed policy and treatment internationally. During the Second World War, Peter Medawar worked on determining whether skin grafts could be used to treat pilots who had suffered burns. Such grafts had been achieved between animal twins, where the donor and recipient are genetically identical, but in any other circumstances the grafts would be rejected. Later, at University College London and working with mice, Medawar showed that certain donor cells could be implanted into a non-identical host when it is born, with the result that the host would later accept a transplant from the same donor. This showed that transplantation between a genetically non-identical donor and host was possible for animals, and would be for humans. Allergic reactions are an irritation for millions, while for some they can be fatal. Elevated histamine is a major contributor to allergic disease, but it was not fully understood where histamine is produced. At the University of Dundee, James Riley discovered that one of the major sources of histamine is the mast cell, which is part of the immune system and found in the skin and respiratory tract. Knowing this, antihistamines could be developed which target mast cells, providing the basis for the effective treatment of allergies. The kidney is essential for filtering waste materials from the blood. Without this cleaning process, the materials can build up and become poisonous. Dialysis machines perform this function for patients who have suffered kidney failure. The first machines were crude and widely opposed due to discomfort at the idea of an artificial organ. In this atmosphere, Frank Parsons convinced his peers at Leeds General Infirmary that this technology was the future and performed the first dialysis in the UK in 1956. This procedure was the start of all renal services in the UK, with the University of Leeds providing training in dialysis for generations of nephrologists. In 1968, the Royal Commission on Medical Education concluded that high birthrates and a need for improved quality of care meant that a greater number of doctors per million of population would be needed. This led to the creation of new medical schools in Southampton, Leicester and Nottingham (which would be established in the 1970s–1980s), and consolidation of various London institutions into medical schools at University College London, King’s College London, Imperial College London and Queen Mary, University of London. Developments in pacemaker technology had produced implanted and external versions, but there remained the problem of the heart needing to operate at different speeds according to the patient’s activity. A pacemaker offering only a single rate put undue strain on the heart during greater or lesser activity. At Birmingham University, Leon Abrams and Ray Lightwood developed the first variable rate pacemaker which patients could control according to their activity, reducing the strain on their hearts and increasing lifespans. The development of the contraceptive pill led to an enormous shift in women’s control of their sexual health. However, early birth control pills were expensive due to the difficulty of separating particular hormones into the required shape. Herchel Smith, at the University of Manchester, developed a new process to synthesise hormones into the desired shape, providing a much more efficient and inexpensive method. Smith’s work led to the first synthetic birth control pills and other hormone therapy treatments. With the discovery that organ transplants between genetically non-identical hosts were possible, Roy Calne at Cambridge University began work on determining how various organs could be transplanted between humans. Organs from non-identical donors are naturally rejected by the immune system, so Calne experimented with chemical immunosuppressants to try and counter the rejection. The drugs which resulted from this formed a basis for kidney transplantation to be offered through the NHS at Addenbrookes Hospital. Calne would also be the first in Europe to perform a liver transplant. In the early years of the NHS there were very few resources dedicated to patients who were at the end of their lives, and little consideration of how current medical advances could benefit them. Cicely Saunders recognised this and created a hospice, St Christopher’s, which was established on firm therapeutic principles around the prevention of pain. It also engaged in education and research in palliative care. The NHS soon took lessons from the success of St Christopher’s and implemented them nationally. Saunders eventually launched the foundation which would go on to build The Cicely Saunders Institute of Palliative Care, King’s College London. A pioneering new curriculum in Human Development, Behaviour and Ageing was introduced at Newcastle University Medical School. This involved considering medicine from a primary care perspective and a focus on soft skills. Newcastle was one of the first medical schools to move from an exclusively hard science-based curriculum to one that encompassed the patient experience and the patient as a whole person. This is now an integral part of medical education across the UK. Since the mid ‘50s, defibrillators were used to treat patients suffering from a coronary attack due to ventricular fibrillation, a serious disturbance in the heart’s rhythm leading to an inability to pump blood. Most hospitals had access to mains defibrillators but Frank Pantridge, working at Queen’s University Belfast, realised the need for a portable defibrillator that could reach patients sooner. Pantridge, along with colleagues, built the first prototype mobile defibrillator, which weighed 70kg and could be installed in an ambulance. The team continued their work to try and reduce the weight and in the early ‘70s developed the first truly light-weight portable defibrillator, weighing just over 3kg. Graham Teesdale and Bryan Jennett, neurosurgeons from the University of Glasgow, developed a neurological scale that allowed for the rapid assessment of the conscious state of a person. This is a crucial period where delivering the right treatment as quickly as possible is essential. The scale became known as the Glasgow Coma Scale and while originally used for patients with suspected head injuries, it is now an integral part of clinical practice and research across the world, including by neurosurgeons and other disciplines. Due to the continuing rise in the use of the scale in research reports, it is the most frequently quoted paper in clinical neurosurgery. Cancer immunotherapy refers to the use of the immune system to treat cancer. George Stevenson and his team at the University of Southampton discovered that in each patient, all malignant B-cells (cancer cells) display a unique ‘marker’. As this marker is only present on cancer cells, and not normal body cells, it offers a precise target for antibodies produced by the body’s natural immune system. This discovery into the structure of cancer cells has led to further innovations in the field of immunotherapy. Rhesus haemolytic disease of the newborn, or Rh disease, affected 1% of all pregnant women, with over 600 babies in every 100,000 births dying as a result. At the University of Liverpool, Cyril Clarke and his team developed a technique of giving intra-muscular injections of antibodies to pregnant women, preventing the emergence of Rh disease in their babies. This was a major advance in preventative medicine and has led to the prevention of death and disability of many millions of new-borns around the globe since its introduction. The first MB/PhD programme was offered in 1989 at the University of Cambridge. This enabled students to focus more deeply on the academic and research-based aspects of medicine, preparing them for roles which might include the discovery of new treatments. Similar programmes were launched elsewhere and together with intercalated studies these form a significant route for the clinical academics who form the backbone of NHS teaching and research. Graduates of these programmes go on to everything from public health planning to laboratory-based research and working in industry. DNA was known to contain the code for life, storing and passing on genetic information. However, unique variations in DNA were unknown until Alec Jeffreys developed the technique of genetic fingerprinting at the University of Leicester. Jeffreys and his team would use the technique to solve many high-profile cases including identifying the body of the Nazi doctor Josef Mengele, and the murdered Tsar Nicholas and his family. DNA profiling has had a profound impact on millions of people worldwide, from solving paternity and immigration disputes, serving as evidence in criminal cases and helping to identify genetic disorders in adults, children and unborn babies. Developing magnetic resonance imaging (MRI) into what we know it to be today involved a long process with many collaborators across the globe. One key milestone in the timeline of MRI involved University of Aberdeen physicists and clinicians, led by John Mallard, creating a device which could scan the whole body at once. MRI is now used all over the world to shed light on all sorts of medical conditions. Annual rates of MRI examination of patients are as high as 140 for every 1,000 inhabitants in the developed world. Rheumatoid arthritis is a costly and debilitating autoimmune disorder that causes joint pain, stiffness, and progressive disability in joint function. Marc Feldmann and Ravinder Maini at Imperial College London discovered how autoimmune diseases like arthritis cause the immune system to fight itself. They identified a key cytokine (molecules responsible for cell communication) that governed inflammatory reactions in rheumatoid joints. This discovery revolutionised the treatment of rheumatoid arthritis and other inflammatory conditions, and would eventually lead the team to develop new drugs that inhibit the cytokine and help tackle the inflammation and tissue destruction caused by the disease. Previously, most experts believed that non-communicable diseases were a result of genetics and poor lifestyles. David Barker and colleagues at the University of Southampton proposed that maternal diet during pregnancy, nutrition following birth and exposure to infection during early infancy were also key factors in the likelihood of chronic disease in adulthood. While a controversial hypothesis at the time, it is now widely accepted and led to a new area of research known as the developmental origins of health and disease, as well as updated recommendations for maternal and infant health. This decade saw major developments in medical curricula, with an increased focus on workplace skills and the changing demands of the health service. The University of Manchester Medical School became the first to introduce a ‘problem-based learning’ curriculum, based around working in groups to solve problems and reach learning objectives which relate to the required competences of a newly qualified doctor. The University of Birmingham Medical School created a community-based medicine strand to increase the general practice experience received while studying. Barts and the London School of Medicine and Dentistry developed a comprehensive programme of communications skills to equip graduates for working with patients and colleagues in the NHS. This is now a component of all medical degrees. Across Europe and the United States, cardiovascular disease kills over 7,000 adults each day. A major risk factor in this is elevated cholesterol. In the UK alone, more than half of adults aged over 45 have high cholesterol levels. At the University of Glasgow, a study led by Jim Shepherd was the first to demonstrate a significant reduction in cardiovascular events when the patient receives statin therapy. Statins are a group of drugs which work to lower the level of cholesterol in the blood. These findings came to dominate the evidence-base in current, high-profile clinical guidelines on lowering cholesterol, and the research has cemented the use of statins in cardiovascular disease prevention strategies worldwide. Mental health disorders can start at an early age and can have lifelong consequences, with half of all lifelong mental health illness beginning by the age of 14. At the University of Warwick, Swaran Singh and Max Birchwood pioneered the concept and practice of early intervention in psychosis, opening the first NHS service dedicated to it. The service was awarded ‘Beacon Status’ by the government and has been replicated with currently over 150 teams across the country. Evaluation has found that this approach reduces the suicide rate as well as lost productivity due to illness. In addition, the success of early intervention in schizophrenia has informed and inspired wider mental health policy and practice, resulting in the development of similar early intervention approaches in other areas of youth mental health. Commonly known as cot death, sudden infant death syndrome is the unexpected and unexplained death of a baby which appeared healthy. Peter Fleming and his team from the University of Bristol found that several factors, such as face-down sleeping position, wrapping infants too warmly and pre-natal smoking, can all contribute to the syndrome. They trialled simple solutions, such as putting a baby to sleep face-up, and saw a drop of 60% in sudden infant deaths. After this the government gave its official support and national campaigns saw a fall of 70% over two years. The research is today estimated to have prevented 10,000 deaths in the UK and 100,000 globally. Bowel cancer has one of the highest mortality rates among cancers, responsible for around 16,000 deaths per year in the UK. This is because it has non-specific symptoms which present at a later stage, when the disease has already progressed. At the University of Nottingham, Jack Hardcastle designed a screening trial which pioneered the use of ‘faecal occult blood’ testing, where stool is assessed for blood – an indicator of early stage bowel cancer. The trial showed a 16% reduction in bowel cancer morality. As a result, the Department of Health took up the process and national coverage was achieved in 2010. It is estimated to save 3,500 lives per year. Following successes in the previous decade around different learning approaches, in 2003 the regulator called for wider integration of teaching in basic sciences with clinical and social sciences, along with a greater focus on community settings. At this time new medical schools were being established: Brighton and Sussex Medical School, Norwich Medical School, Hull York Medical School, Keele University Medical School, University of Warwick Medical School, Swansea University Medical School and Peninsula College of Medicine and Dentistry. These medical schools were formed around the innovative methods called for by the regulator, greatly increasing the diversity and dynamism of medical education. Researchers at Cardiff University, led by Ian Weeks and Stuart Woodhead, investigated the light-emitting (chemiluminescent) properties of a family of chemical dyes and their use in biochemical analysis. By using two types of light-emitting dyes they were able to detect and measure multiple biochemical targets. This showed that the modified dyes could be used to develop diagnostic tests for infectious disease that were more sensitive, rapid and accurate than existing methods used at that time. The technology is now used in a range of tests, for example HIV and hepatitis B and C, the detection of which is vital in ensuring the safety of blood transfusions and blood products. Inadequate diagnosis has major consequences for the treatment of potentially life-threatening hospital infections such as Clostridium difficile and other pathogenic bacteria. Most hospitals have access to tests for C. difficile. However, Tim Planche and colleagues working at St George's, University of London, realised that a combination of two different tests provided a much more reliable diagnosis, leading to a change in policy across NHS hospitals in England. The drop in cases of C. difficile recorded in England, from 55,000 in 2007/8 to 12,840 in 2016/17, is ascribed in part to accurate diagnosis, enabling early intervention, isolation, and effective treatment. A multi-disciplinary team of researchers, led by Nick Black at the London School of Hygiene & Tropical Medicine, worked to develop and test Patient Reported Outcome Measures, a way of gathering patients’ views of health outcomes, collected before and after surgery in routine clinical practice. The work led to the government announcing that these views would be collected pre- and post-operatively on all NHS patients in England who are undergoing one of four common surgical procedures. As well as providing sophisticated measures of NHS productivity, the Patient Reported Outcome Measures have helped ensure that patients’ views play an important role in achieving high-quality care. Neonatal diabetes is a rare form of diabetes that affects an infant’s ability to produce or use insulin. Andrew Hattersley and colleagues at the University of Exeter discovered that most patients with permanent neonatal diabetes have mutations in a potassium channel that regulates insulin secretion. The discovery led to a change in treatment; patients were previously required to have multiple daily insulin injections but this could now be replaced with orally administered anti-diabetic tablets. Removing the burden of injections led to increased quality of life and better control of blood sugar, reducing future risk of diabetic complications. The integration of technologies has been a feature of medical education in this decade. The University of Leicester Medical School became the first to develop teaching specifically for holding consultations in an online environment, while the University of St Andrews School of Medicine incorporated ultrasound teaching into its curriculum as a means of expanding anatomical knowledge and clinical practical skills at the same time. Mental health has also been a feature, for instance with Brighton and Sussex Medical School running an initiative to link healthcare students with families affected by dementia, developing empathy and understanding of the condition. As well as this, there has been the largest ever expansion of medical student numbers, with eight new medical schools launched. Haemophilia is a genetic condition which means sufferers’ blood does not clot. This leads to excessive bleeding from small injuries and spontaneous internal bleeding which can be lethal. It affects over 400,000 people globally, including 2,000 UK suffers of its most severe form, haemophilia A. In a clinical trial, John Pasi and team at Queen Mary, University of London, injected haemophilia sufferers with the gene responsible for blood clotting, which they are born without. All of the patients who received a high dose no longer needed to apply their regular clotting agent, with the majority of these patients unchanged a year later. This could have a huge impact on haemophilia sufferers globally. Birth asphyxia is a condition where a baby is deprived of oxygen at or around birth, causing death or severe disabilities. Researchers at Imperial College London and the University of Oxford, led by David Edwards and Denis Azzopardi, found that cooling babies by three degrees decreased the likelihood of long-term brain damage and increased the chance of survival. This technique is called therapeutic hypothermia and is now common clinical practice for birth asphyxia, improving the chances of babies affected by the illness to survive without any lifelong effects. Mitochondria are present in most of the body’s cells and responsible for creating the energy needed for much of its function. Mitochondrial disease therefore has significant effects on functions related to energy, such as the heart and brain. Doug Turnbull and Mary Herbert at Newcastle University developed a technique for transferring DNA containing mitochondria into human eggs, replacing mitochondria which is defective. The UK Parliament approved this technique, known as mitochondrial donation, in 2015. It will now be possible for those who would have been born with mitochondrial disease to lead healthy lives. A study sponsored by the General Medical Council found that 9% of prescriptions issued in NHS hospitals contained errors, some of which can be dangerous for patients. The Medical Schools Council and British Pharmacological Society began developing a new assessment of prescribing skills for medical graduates. Medical schools had always set their own examinations but were by this time able to collaborate to an unprecedented degree. The Prescribing Safety Assessment was developed with input from every medical school and became one of the first national assessments for graduates, implemented in 2014. Since then, graduates have noted the stronger focus the assessment has placed on their prescribing learning, and it is hoped this will increase the prescribing ability of future generations of doctors.